The Image Field is used for uploading images/photos (it accepts JPEG, PNG, BMP and GIF image files). Allows for extra large image sizes. 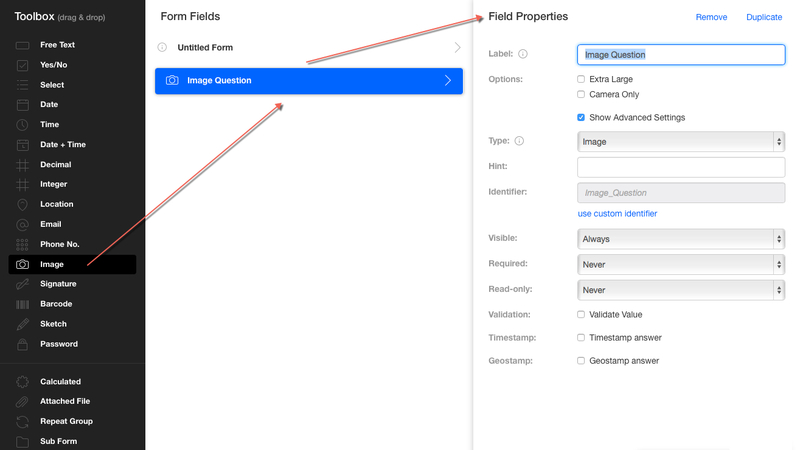 Limits the uploading options to images taken with the camera while the form is being completed.